The following exercise, drawn largely from a University of Western Ontario French self-assessment survey, will help you quantify your knowledge of French, and will serve as a guide to our instructors in placing you in the class best-suited to your level. 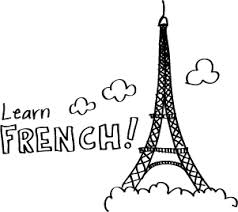 Your skills in listening to, speaking and reading French will be assessed, along with your knowledge of French grammar. A print copy is also available for download. If someone gives you an appointment in French, can you understand key Information such as the place and the time of the appointment? If someone described to you in French the location of a building in an area or neighborhood with which you are somewhat familiar, can you understand where to find it? If you phone a friend and someone else answers in French, can you under- stand what you are being told about your friend’s availability? From the content of a discussion in French, can you determine the psychological state of the participants (anger, sadness, happiness)? If you overhear a conversation in French between two people, can you tell whether those two people know each other well, or not at all? If you were asked for your opinion in French in an opinion poll, could you understand enough to be able to answer most of the questions? Could you correctly identify the situation of a French dialogue recorded on tape; for example, the likely role of the person speaking (friend, boss, store clerk, etc. ), the topic, and where the dialogue is probably taking place (restaurant, bank, on the street, etc.)? When you listen to the news on a French radio station, can you understand most of what is being said? When you watch a movie in French with a lot of dialogue, can you understand enough to determine what the story is about and each of the main characters’ role in the story? Can you understand spoken humor in French, including refined plays on words? Can you distinguish French accents, identifying whether the speakers are from, for instance, Quebec, Europe or Africa? Could you fully understand a lecture given in French on a topic with which you are familiar? When meeting someone for the first time, can you respond to greetings in French and introduce other people? In a restaurant, can you order in French? Can you speak about yourself to others in French, giving details on your family, your job and your home? Can you express your feelings in French in a given situation (happiness,sadness, anger)? If you are shown a photo or illustration, can you express your thoughts about it in French? Using only French, can you organize an activity (party, outing, meeting)? Without advance preparation, can you make up a suitable ending if someone gives you the beginning of a story in French? During a chance meeting in the street, can you easily and fluently carry on a French conversation about your everyday activities? Can you engage in a discussion in French about a film? Can you discuss in French the pros and cons of taking a vacation in Europe? Can you talk in French about the aesthetic values of a work of art? Can you change your speaking style in French to suit the situation you’re in (i.e., formal style with strangers; informal with friends; relatively formal with colleagues)? Can you understand the gist of an illustrated French-language movie poster? If the menu at a restaurant is written only in French, can you select items knowing what you’ll be eating? If you were given a series of written descriptions in French and several pictures, could you match them up? Can you recognize the usual conventions people use in different writing situations, for example, on a postcard, an email, an invitation, or an office memo? From an interview written in French in a newspaper, can you understand the thrust of the answers and draw some personal conclusions from the content? Can you skim a two- or three-page passage in French and find the details that you need in order to answer specific questions? When reading an article in a French newspaper, can you pick out the most important information you need in order to summarize its content? If in reading a passage in French you come across words you don’t understand, do you attempt to infer the meaning from the context? If the paragraphs of a French story were presented to you in the wrong order, could you put them in the right order to make up a logical sequence? If you were handed a 4- or 5-page story written in French, could you read it without consulting a dictionary more than two or three times? Do you know written French well enough to be able to spot mistakes and misprints in the text? Can you read poetry in French and appreciate the subtleties of the language? Can you answer if someone asks you in French for your address and phone number? Can you use the appropriate interrogative expressions in French to get the following information about a meeting: where, at what time, and why? Can you use the future tense in French to tell someone where you will be spending your vacation? Can you give someone directions in French using the impératif verb form; for example, how to find the airport in Burlington? Can you tell someone in French (using the conditional form of the verb) what you would like to do if you won the lottery? Do you feel comfortable using the subjunctive form of the verb when speaking French? Can you recount a past occurrence in French, appropriately using the passé composé and the imparfait to accurately situate events in time? Do you have the vocabulary in French to make comparisons, for example to compare two books you’ve read? Can you recognize the passé simple of the verb when you read it? Do you feel at ease when choosing from among definite articles, indefinite articles, and partitive articles? When speaking French, do you know how to use the different forms of lequel? 65 – 112 total points: Your suggested courses are A1 102 or A1 103. 113- 160 total points: Your suggested courses are A1 103 or A1 104. 161 – 218 total points: Your suggested courses are A1 105 or A2 101. 219 – 240 total points: Your suggested course is A2 102. Or you could try one of our advanced conversation classes. The classes associated with each range are a general suggestion only. The guidance of Mme Tremblay or other staff members, based on talking with you about your experience and needs, is the most important part of the placement process. For class information see our classes page or inquire directly using our handy contact form.